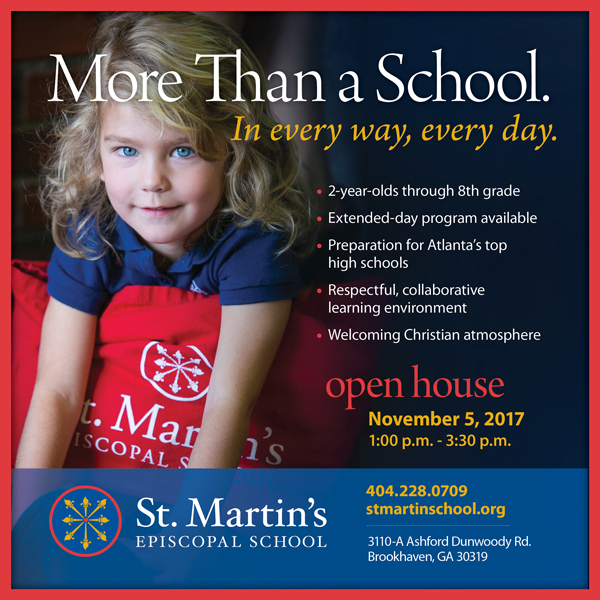 St. Martin’s Episcopal School will host a campus Open House on Sunday, Nov. 5 from 1:00 p.m – 3:30 p.m. Families are welcome to come explore our science labs, computer labs and classrooms and experience all that we have to offer for preschool-8th grade students. Tour our campus with engaging student ambassadors and meet our dedicated and friendly teachers. Alumni and current parents will also be on hand for an open forum in the school gym. Please join us to learn more about St. Martin’s!